I'm visiting London this week. 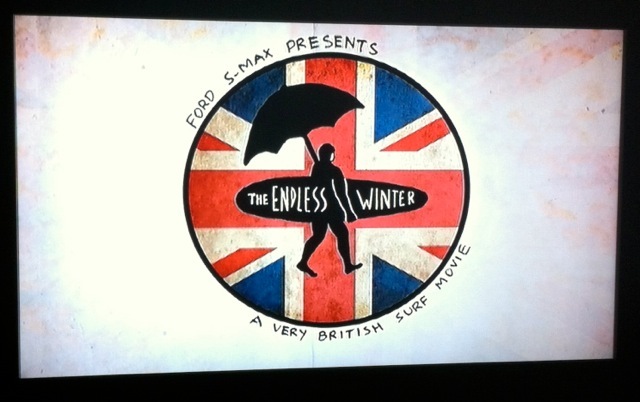 Jet lagged and unable to sleep, I turned on the TV at 2.30am in time to catch a facinating documentry called "Endless Winter- A very British surf movie". I was intriged to learn that the first British surfboard makers were part of a funeral home who made coffins and caskets. 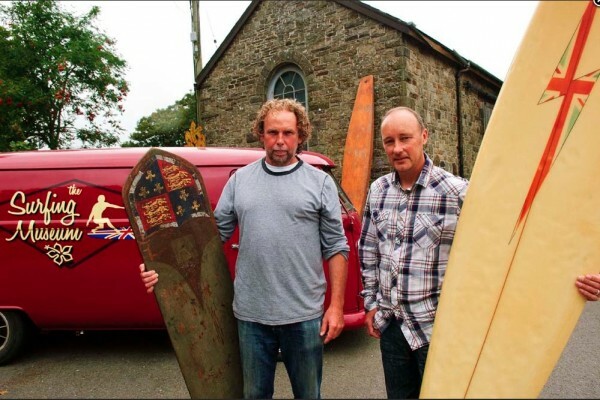 Richard Gregory, chairman of the Museum of British Surfing trustees with a c1923 (coffin?) 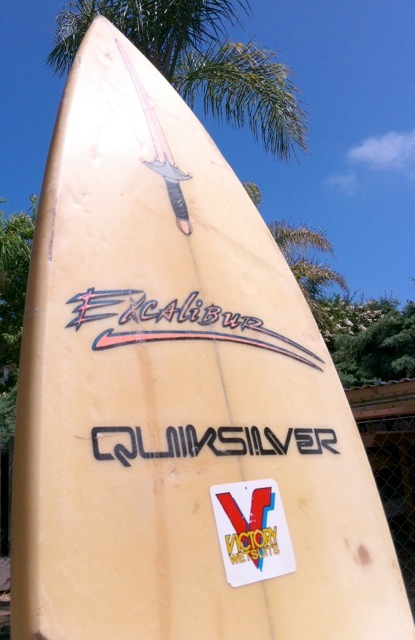 surfboard and founder Pete Robinson with a Tom Parrish Lightning Bolt shaped for the late Viscount Ted Deerhurst. Thankfully I don't collect expensive wooden vintage surfboards because one of these British wooden coffin top boards would have to be an absolute must have for any serious vintage surf collector. I do (for some reason?!) have a facination for 70's and 80's surfboards and the documentary prompted me to write about my own pice of Brishish surfing heritage. 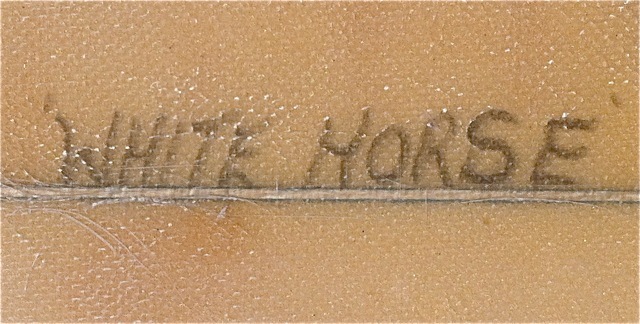 Edward George William Oscar Coventry, Viscount Deerhurst was the 12th Earl of Coventry. 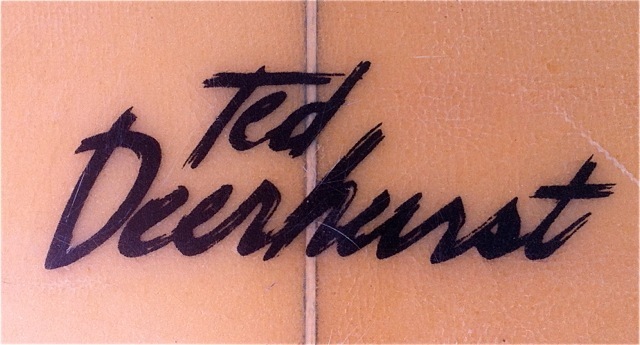 He was better know as Ted Deerhurst or 'Lord Ted'. 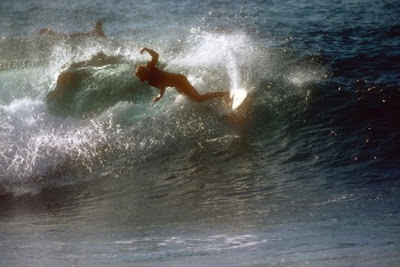 In 1978 Ted joined the ISP world circuit and became the UK's first professional surfer. 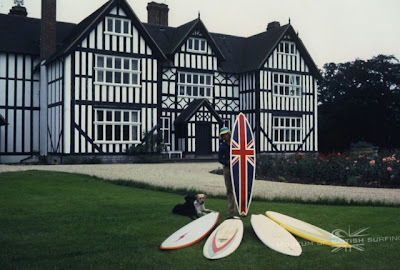 Born in England, he was educated at Santa Monica High School in California and later travelled the world, living in Australia and Hawaii where, sadly, he died in 1997. As well as being a well loved a pro surfer and sports reporter, Ted was a surfboard designer and shaper. 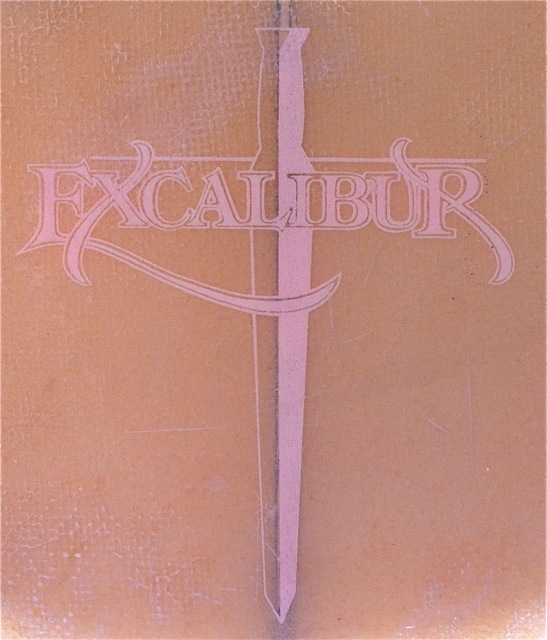 He produced boards under the Lightning Bolt label in the UK, Sabre and Excalibur in Australia and Hawaii. I found this interesting, although not pretty, example of what I believe to be his handy work in Los Angeles, a 6'2" single fly rounded pin tail thruster. My understanding is it was shaped in Australia, on the Gold Coast around Burleigh Heads. Judging by the shape, design and Quiksilver laminate I estimate the board to from 1983. 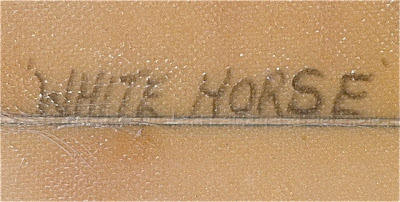 The board has a super light glass job, and is signed 'White Horse' which leads me to think that this could have been one of Ted's own competition boards, although I have no record of him being sponsored by Quiksilver. 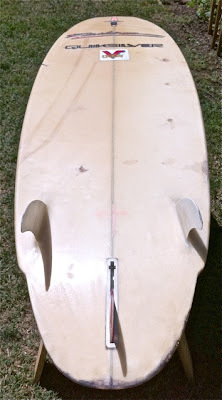 The board itself is interesting, because of its long pointy nose (that doesn't read well in the photographs) that seems to have been heavily influenced by Geoff McCoys no nose Lazor Zap designs of the time. Check out Alisdair's Deerhurst Lightning Bolt here. 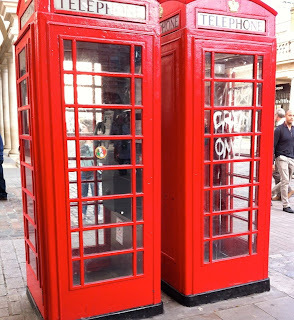 and read some of the wonderful comments by his readers who crossed paths with Ted during his travels. "Lord Ted" was a good man and we all miss him! 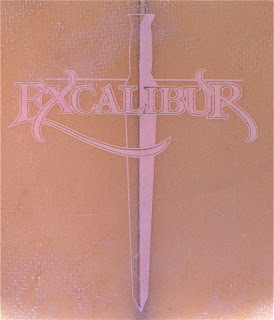 I inherited his plainer and all his templates along with his push bike and still use them to this day! 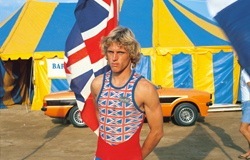 Have some classic footage of him competing for the UK in the team challenges we did on the North Shore, back in the 80's. 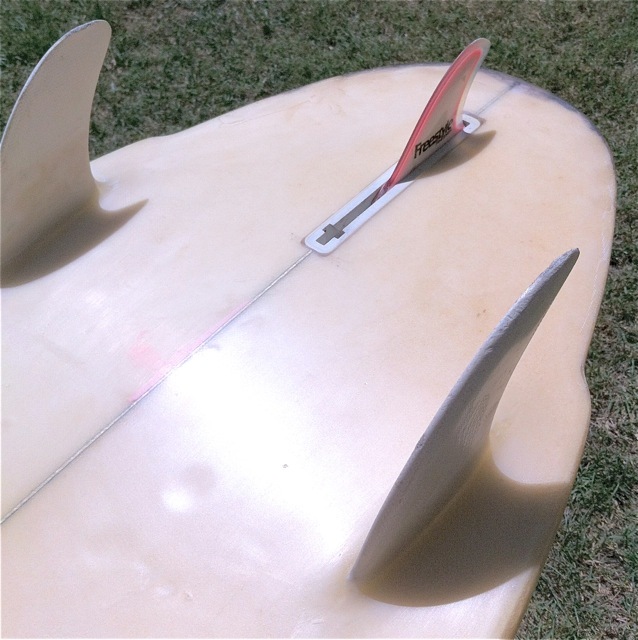 Occasionally see one of his boards pop up here and there. 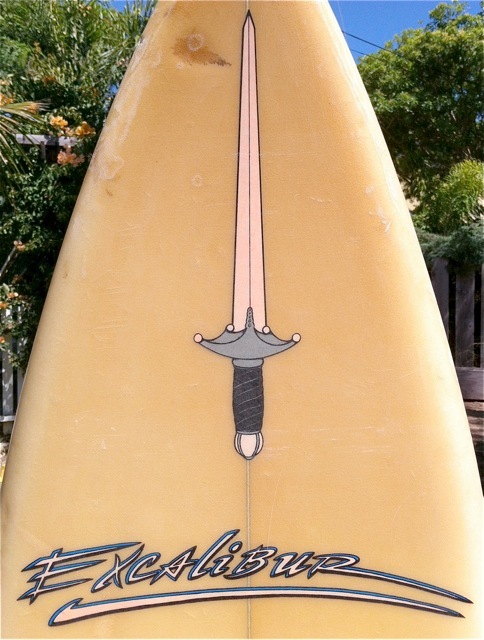 Aloha Ted and may you be riding that big white wave in the sky!